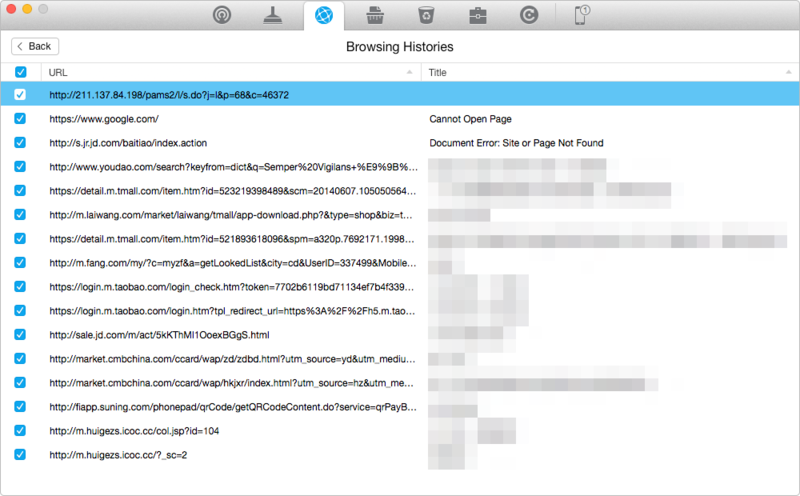 How to Delete Browsing History on iPhone5/5s/6 – iMobie Inc.
How do you clear browsing history on iPhone? You can read this guide to know an easy and quick way to erase browsing history on iPhone with the aid of an iOS device cleaner tool. Have a try to free download and install this software to delete browsing history on iPhone. You will know the details by reading this tutorial. Question: "I am able to go into my iPhone's settings/Safari and can delete history, and data. However when I do this, it's not completely deleting it. When I type into my browsers website address bar, past websites I've visited keep showing up. I'd like these not to appear. How do I delete that info from showing up? I would have thought that clearing the history would have done this bit it still shows up. I'd definitely like to avoid any fights my GF and I might have over my past browsing history." Maybe most of you are stuck in the same situation as the user above, have you solved your problem? If you not, this iMobie guide will introduce you a powerful cleaning tool – iMobie PhoneClean, which helps you clear browsing history thoroughly, and also show you a step-by-step guide about how to delete browsing history on iPhone with PhoneClean. PhoneClean, reliable and effective, is a cleaner to smash your browsing history on your iPhone5/5s/6. Supports permanently deleting all private information on your iOS devices (like call history, Safari history, browser history, messages, etc.) and clearing the trash files to free up space. Does deep cleaning around every corner of iOS device to completely wipe privacy data like browsing history without rooting, restoring to device's factory setting. Supports creating backups before doing any scanning or cleaning steps, to let users have a chance to restore the deleted data. 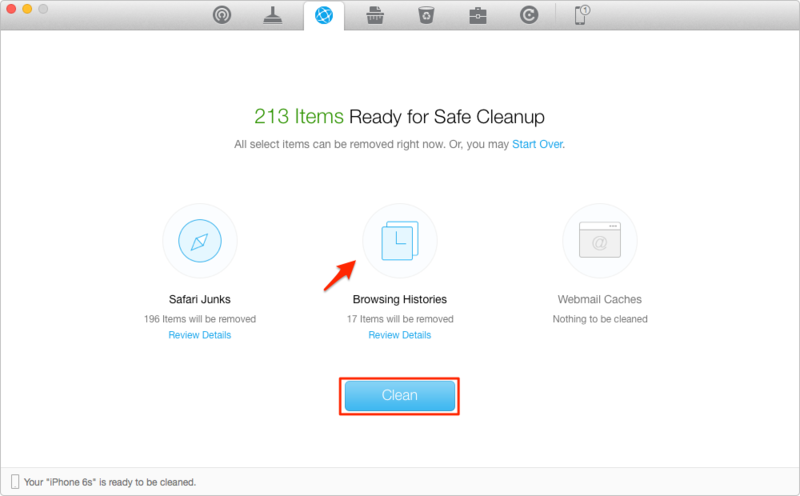 PhoneClean is easy to handle and allows you to clear browsing history on iPhone in 3 simple steps. Free download and install PhoneClean on your PC/Mac. And then connect your iPhone to PC/Mac via a USB cable. Step 1. 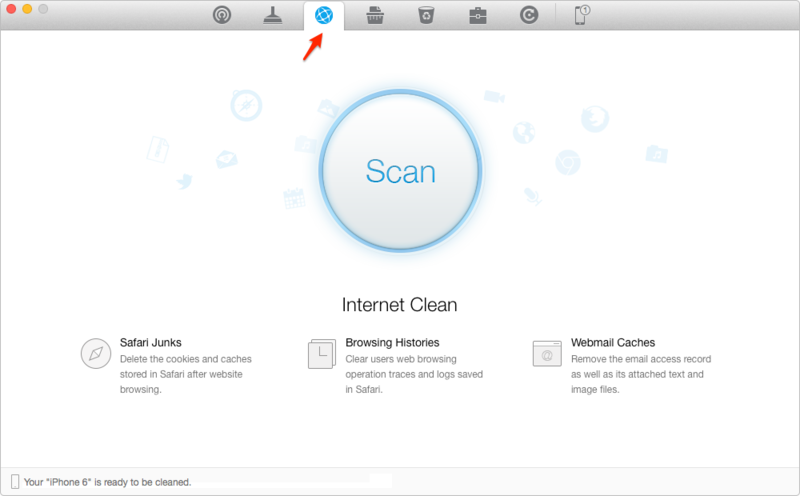 Select Internet Clean, and click the scan button. Step 2. When the scanning is over, double click Browsing Histories to view and select the items you want to delete, and then back to the result page. PhoneClean is the all-in-one data eraser software to clean up the garbage content so as to make your iOS device run as quickly as a new one. If you still have any question on your mind, please inform us by leaving comments. If you find this tutorial is really useful, please kindly share it with your family and friends. Why not give a shot on it now?